Here’s a list of other topics I was recently criticized for not caringenough about by people who, for all their caring, didn’t discover anything new and believe pretty much exactly what I believe on each topic: Russian meddling in the elections, wild animal suffering, male circumcision, free speech on campus, Kanye West, Brett Kavanaugh, Alexandria Ocasio-Cortez, anti-Semitism, LeBron James signing with the Lakers. 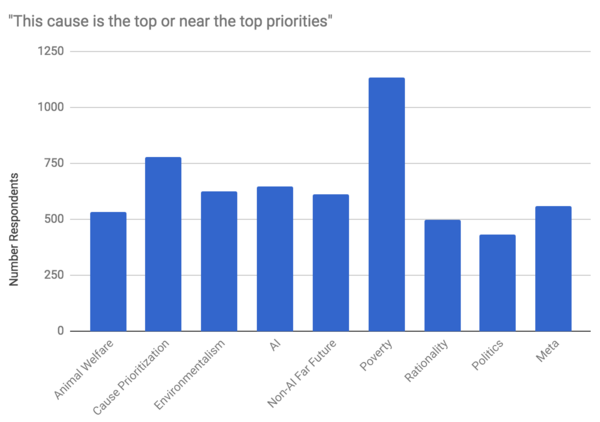 This is a diversity of priorities, not of opinions. I agree that factory farming and the criminal justice system are terrible – it’s better in general to have fewer sentient beings in cages. I just care about AIand rationality more. And yet, I strongly prefer this sort of EA community to one where the majority cares only about AI and rationality.